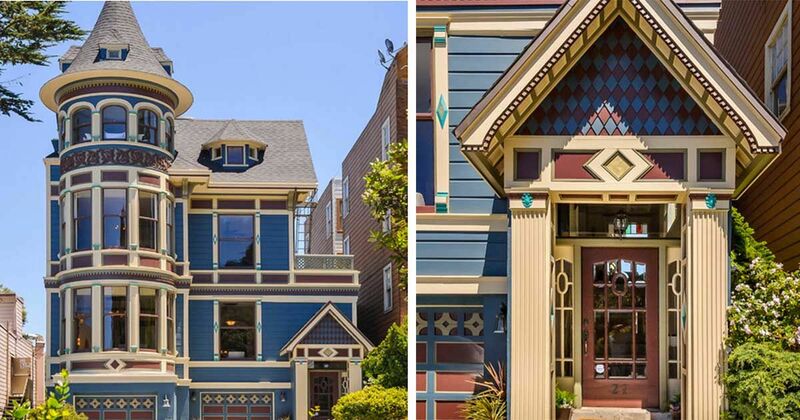 Built in 1882 for a wealthy San Francisco doctor and his family, this gorgeous Queen Anne home was recently renovated and updated. It took two years and 100 people to restore the historical home, but the results were well worth it! The house measures 7,138 square feet (663 square meters) and has a whopping total of 22 rooms. 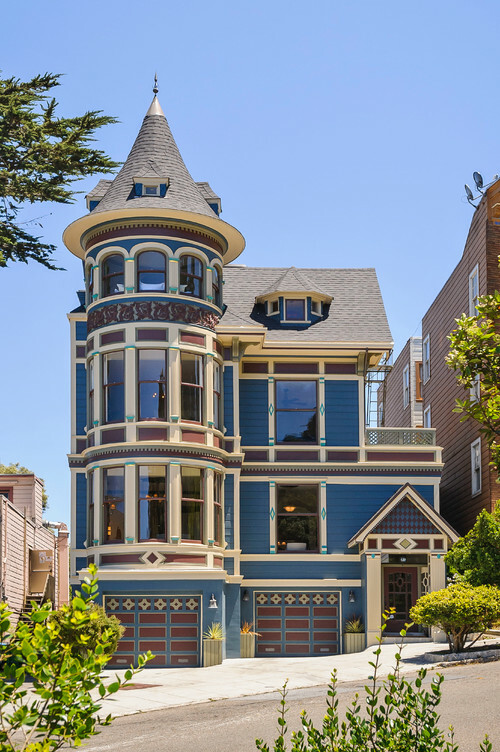 Period details like the intricate woodworking on the exterior and the signature "witch's hat" cone roof on the tower make the home stand out from the crowd. 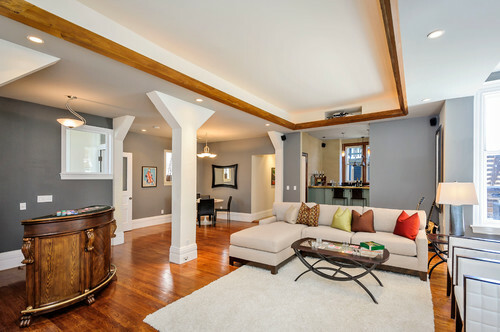 The turn-of-the-century architecture has been preserved just as well inside the home. 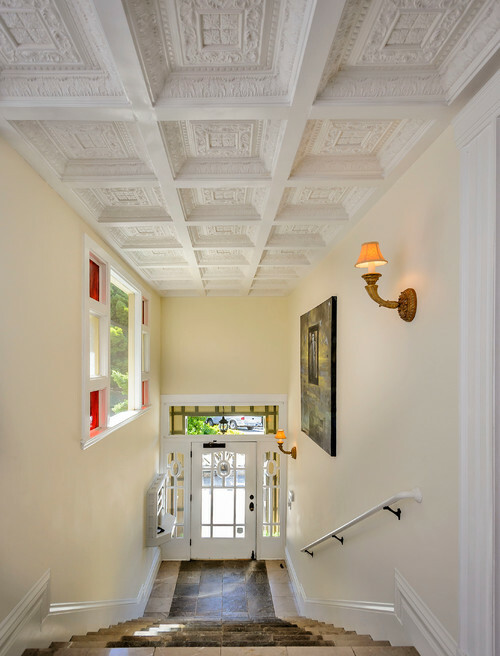 Stained glass windows illuminate the stairway, and the detailed woodwork on the ceiling of the entryway is especially worth taking note of. 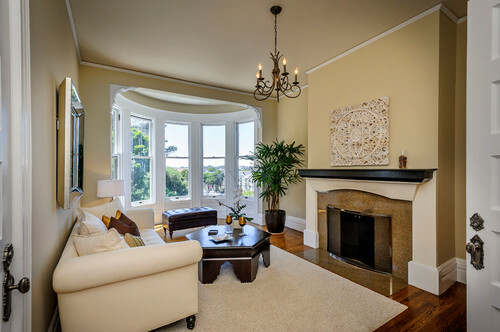 Two of the home's living rooms are situated in the tower, and are blessed with sweeping views of the beautiful park across the street. Beautiful fireplaces keep the room cozy on cool winter nights, and elegant chandeliers add just the right amount of Victorian charm. 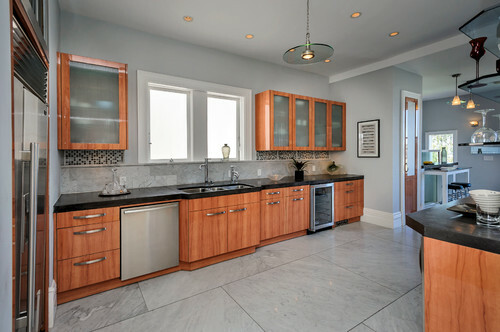 The kitchen has been fully updated and modernized with stainless steel appliances and custom-built cabinets. Located on another floor of the tower, the formal dining room is flooded with natural light. 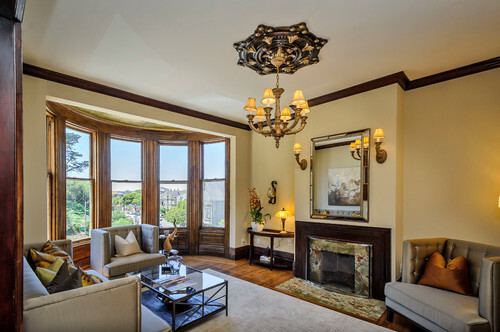 The room has more than enough space for a large, elegant table, and a beautiful stained glass window just outside the room reminds guests of the home's Victorian origins. 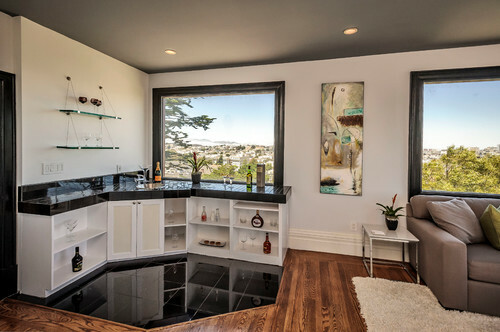 After dinner, this large wet bar is the perfect place to bring guests for a nightcap. The billiards room is another great place for entertaining, and it includes another small bar to prevent the hassle of having to leave the room to freshen a drink. 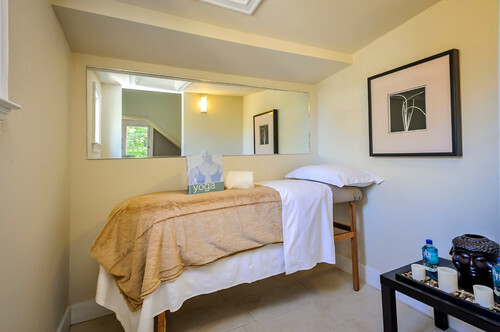 Perfect for anyone who likes being greeted by the sun in the morning, the large master bedroom is also fortunate enough to be located in the tower. 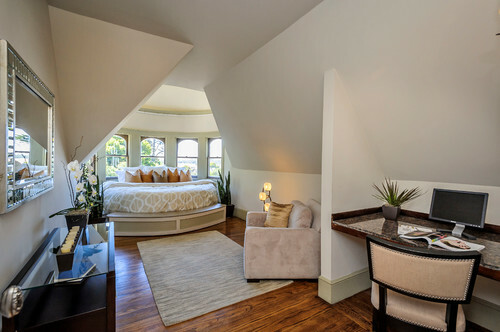 The bed is set in the large bow window, and the rest of the room is filled with spaces for relaxing and working. The spacious walk-in closet attached to the master bedroom means the homeowners will never have trouble finding a place to store their clothes! A large mirror and a comfortable sofa round out the room. 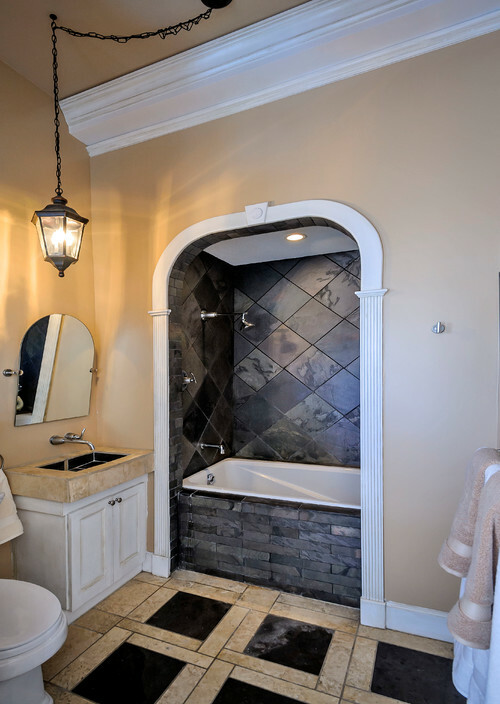 One of six bathrooms, this room features special details like a tub set in the wall and a light above the sink that dangles from a chain. 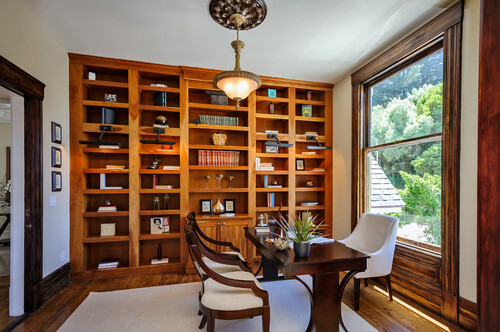 The study is another highlight of the home; floor to ceiling shelves make the room feel like a real workspace, while a large window lets in plenty of natural light. 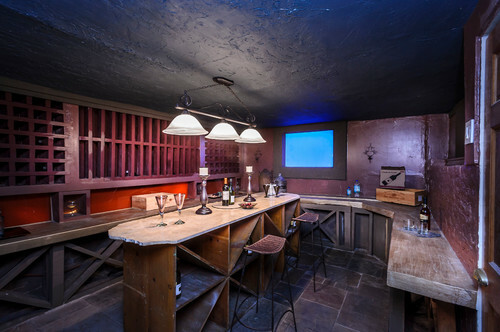 Downstairs, this traditional wine cellar looks like the ultimate man cave. It even has a flat-screen TV! The cellar is any wine aficionado's dream; it can hold up to 3000 bottles. 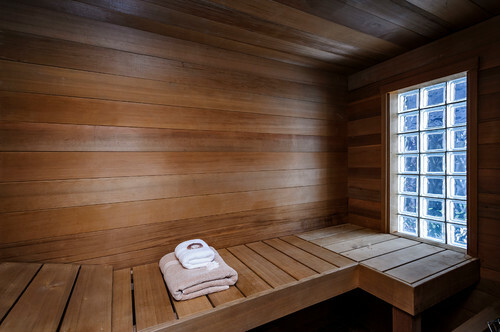 Other highlights of the home include an exercise room, a massage room, and a sauna. 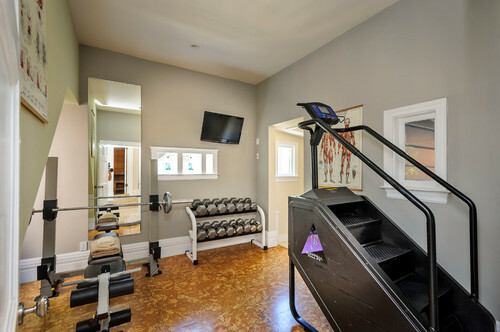 Perfect for squeezing in a workout without having to leave the comfort of this glorious home! 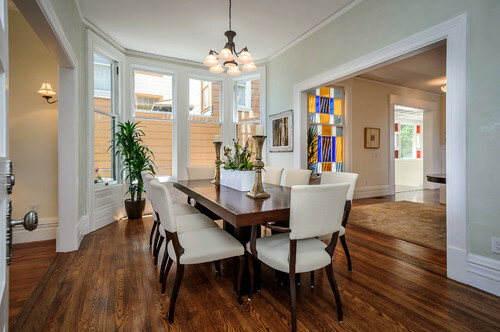 Do you love the fresh approach the designers took when renovating this historic home? Let us know in the comments, and be sure to share this article if you loved it!